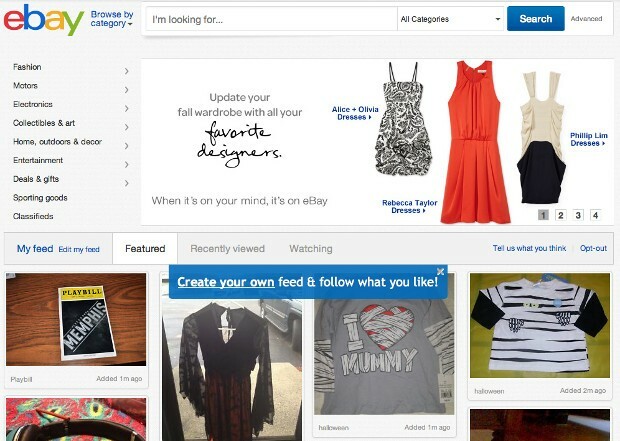 ebay (yes, ebay, not eBay anymore) has unveiled its new look today along with some new features. First of all, they decided to change their logo, which was actually announced last month. The new site is centered more around pictures and less around text, making it visually appealing since people enjoy pictures over reading. Another feature they added is the ability to Like auctions on Facebook, which might help drive more traffic to an auction. They’ve also come out with ebay Lifestyle Deals, which is a local coupon service that will compete with the popular Groupon and Google Offers. How do you feel about their new look?